Virtually unknown to the foreign traveller, yet historically significant and undeniably elegant, Bayamo doesn’t feature in many travel guides and perhaps that’s for the best. This is a crowd-free, unrushed oasis with time-warped streets that echo to the clip-clop of horse hooves. Bayamo is the capital of Granma province and is renowned as one of the most fiercely patriotic parts of the country. It was the first city to be liberated in the wars of independence, and its citizens went as far as to burn the city to the ground rather than let it fall back into Spanish hands. Other cities like Guaimaro and Las Tunas would follow with similar burnings, but brave Bayamo was the first. The city's focal point is Parque Céspedes, surrounding which you'll find some of Bayamo's main attractions, from colonial mansions to elegant bars, cafes and local art displays. The Bayamo Band performs live at the park every Sunday. The Iglesia San Salvador de Bayamo dates to 1516 and was elevated to cathedral status in the 20th century. Next door is an 18th century chapel called Capilla de Nuestra Señora de los Dolores. Stop by Casa Natal de Céspedes, the birthplace of Cuba's first national hero, Carlos Manuel de Céspedes, “the father of the homeland”, who first declared war on Spain in October 1868. Inside you'll find personal memorabilia and vintage furniture. Adjacent to the house is a clock that marks every hour aptly with the first few bars of Cuba's national anthem, La Bayamesa. A pedestrianised stretch known as Paseo Bayamés is a colourful shopping artery featuring funky artwork and Cuba's only wax museum, with some admirable attempts at depicting some Cuban and international celebrities. The peaceful Plaza de Revolución was the site of Céspedes’ proclamation of independence in 1868, right in front of the Ayuntamiento (City Hall). Nowadays it's the city's most popular outdoor concert venue with orchestras playing regularly. Nearby check out Fábrica de los Coches, the country’s only producer of handcrafted horse carts. You can meet the craftsmen and buy miniature models of the four-wheeled carts. South of Bayamo is Sierra Maestra, one of Cuba’s most impressive mountain ranges. The mountains have a long history of guerrilla warfare, from Taíno rebellions to the Cuban Wars of Independence and the Cuban Revolution. Most notably it was the hiding place of Fidel’s small band of renegades after their failed attack on the Moncada Barracks in 1953. Not many know it but Bayamo was the second settlement to be established in Cuba, beating Havana and Santiago by two years. Cuba's national anthem, La Bayamesa is a battle cry that was composed in Bayamo at the start of The Ten Years' War with Spain and was inspired by France's La Marseillaise. As rebel forces liberated the city, joyous crowds urged the song’s composer Perucho Figueredo to write the lyrics and he instantly obliged while still riding his horse. Despite its feisty history, the Bayamese are charming and laidback, although they have a passionate reverence for the old days. Share that respect with the locals you meet and join in their admiration for their city, and you’ll quickly connect and make lifelong friends. Bayamo is a surprising leader in sustainable transportation, with only 15 per cent of commuters using motorised transport. Most locals get around using the 500 licensed horse-drawn carriages, the rest walk, cycle, or hop on a bicitaxi. 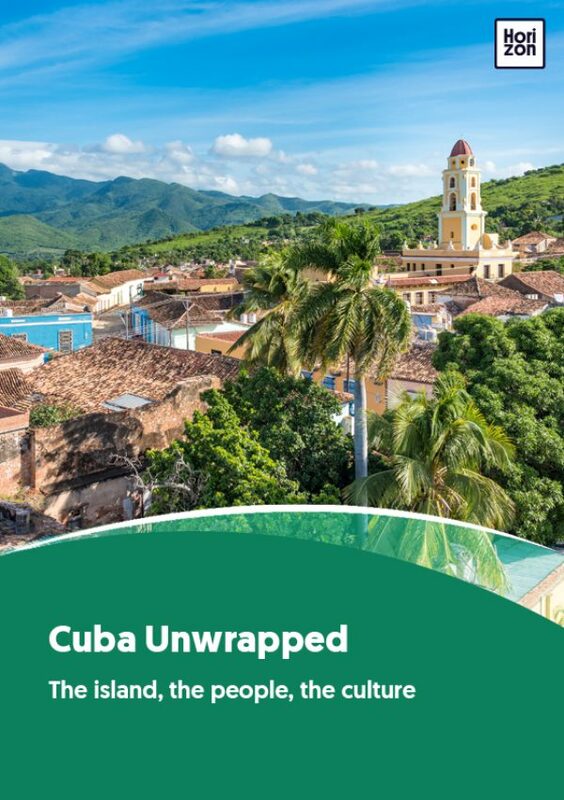 Despite being in one of Cuba's hottest regions, Bayamo has a balmy climate with forgiving weather and fresh winds. Enjoy!